You may not have noticed, but the second Payment Services Directive (PSD2) was implemented in the UK on 13 January this year. For those outside the payment services industry, the most notable change so far has been the end of credit card surcharges, which has either been a joy or nightmare depending on which side of a card transaction you sit. Otherwise, as an individual, unless you’ve had an unauthorised transaction on your current account you probably have had no call to consider that providing payment services is a regulated activity and has been since 2009. However, as payroll professionals, the payment services regime and the activities that are inside and outside the regulatory perimeter should be of interest, even if just to confirm when changes arise that your business model has not strayed over the boundary line. The European directive is implemented in the UK by the Payment Services Regulations 2017. It defines regulated payment services as any of eight activities listed in Schedule 1, when carried out as a regular occupation or business activity, as long as one of the fifteen exemptions, also listed in Schedule 1, does not apply. The in-scope activities involve the movement of funds – either because the provider has taken possession of the funds or because the provider has given an instruction for funds to be moved – and the aggregation of data from payment accounts. These latter two activities – payment initiation services and account information services – are new, having been introduced by the second Payment Services Directive. 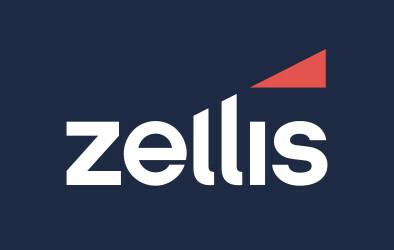 Under the first payment services regime, unless a firm took possession of the funds they would not fall within scope. This meant that payroll processors that simply calculated the sums and set up the payments from their client’s account without handling the funds themselves were not impacted by the legislation. However, under the new regime, firms may be providing payment services even when they don’t touch the funds. Under the new legislation, a payment initiation service is defined as “an online service to initiate a payment order at the request of the payment service user with respect to a payment account held at another payment service provider”. While consumers in the UK are relatively unfamiliar with payment initiation services, they are much more common elsewhere in the European Economic Area – they initiate 55% of payments made in The Netherlands. Their value comes from enabling merchants to accept credit transfers for payment for goods or services, because they can confirm payment was initiated and that funds are on their way, thereby providing a competitively priced alternative to payment by card. Below, I provide a payroll processor use case, which may be in scope. Likewise, account information service providers do not touch the funds but pull account information from one or more payment accounts to present it to the payment service user. I don’t intend to give a use case for this activity here, but payroll providers should, of course, consider whether any of their activities fall within this definition. Where a provider holds funds on account, the Electronic Money Regulations 2011 may apply. Most people think of prepaid cards when they think of ‘e-money’ but the legislative definition allows for current account products, like the one into which your salary is paid, except that instead of the funds being held as a deposit, they are held as e-money. All that is necessary are that the funds represent a claim on the issuer, will be used for the purpose of making payment transactions and that they are accepted by someone other than the issuer. There are two exemptions listed in the Electronic Money Regulations 2011, both of which are included in the payment services exemptions. 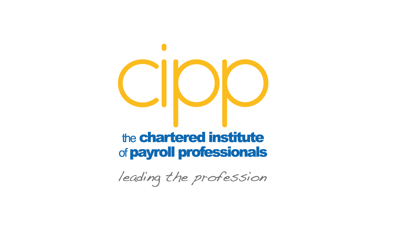 We would like to help payroll providers obtain fundamental clarification on payment initiation and are working with CIPP to document the various business models to present to the FCA. Please get in touch with me, in confidence and without obligation, if your business model might be impacted. The information here is a general summary of advice – not a complete or definitive statement of the law. Let’s look at a couple of scenarios to illustrate the impact the payment services regime has on payroll providers. For ease, I’ll call the payroll provider ‘ABC’. Scenario: ABC provides a service to companies or individuals who want to simplify their payroll process. In the case of individuals, they may be employing only one person – a carer, for example – and the funding may come from the local council. ABC not only calculates the payments its client must make but also disburses the funds. ABC’s client (or the local authority in the case of an individual employing a carer) transfers sufficient funds to cover the payments into ABC’s client account. If there are any funds left over, ABC will return them at the end of the payroll process or hold on to them and apply them to the next payroll run. In other words, if ABC selects and appoints the carer or employees for their client, it probably has a commercial agency relationship with its client and will not be providing regulated payment services. However, if the commercial agent exemption doesn’t apply then it is likely that ABC is providing payment services and possibly even issuing e-money because ABC is holding funds over which there is no payment instruction, albeit there is an intention to use the funds for payment transactions at some point. Scenario: ABC provides a service to its clients where it calculates the payments that are to be made and then sets up the payments from the client’s payment account. Given the newness of the regime, this scenario is trickier to determine. The FCA publishes perimeter guidance on the application of the regime to help firms determine whether they are in or out of scope. In this case, though, the guidance is limited: the only use case given is that of providing merchants with an alternative to accepting card payments. Clearly, this is not applicable in the payroll provider case above. For its part, the government, in its feedback on the consultation process, said that it wanted to draw a ‘broad interpretation’ of the definition but also did not provide examples. Instead, the government noted that the FCA will have to give guidance on a case-by-case basis.